For Halloween, I’m giving away six Photoshop brushes from my latest brush set. The link to download these is at the bottom of this page. 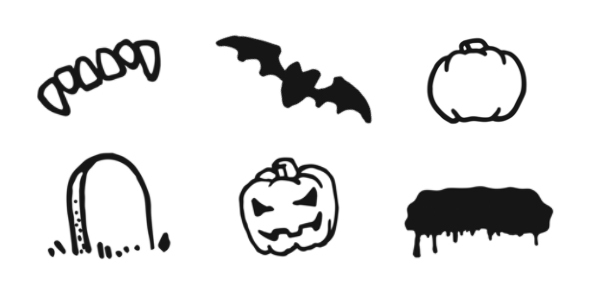 You can also check out the entire set of Halloween Brushes over at Graphic River, or check out all of my graphic resources on Graphic River. The image above shows the brushes included in the free set. Use the link below to download the ZIP file containing the Photoshop ABR File. This entry was posted in Freebies and tagged Brushes, Halloween, Photoshop. Bookmark the permalink.